Transport for London has the gargantuan task of carrying more than 1bn passengers each year, which means that the marketing team has an equally difficult job of keeping them all informed about upgrades and delays. To find out more about TfL's marketing strategy and exactly what it does with all that Oyster Card data, e-consultancy (www.econsultancy.com) recently spoke to Head of Marketing Services Julie Dixon. What are the main marketing aims for TfL, as presumably it’s not about brand awareness? The role of TfL is to keep London working, growing and to make life in London better – which is a pretty big task! Put more simply we want to get people from A to B as quickly, safely and efficiently as possible, providing them the information they need to make their journey in the way they want to get it. Virtually every resident, worker or visitor to London is one of our customers. This includes people using the public transport services that we operate and road users, as many people don’t realise that TfL has responsibility for the majority of the major roads in London too. What are the main challenges you faced with the increased amount of data available to modern marketers? The sheer scale of the data available to us, where we have millions of journeys being made everyday on TfL services and roads, and how we can then best use this data to help our customers. As just one example, when a customer has registered their email address with us, we can directly contact them with travel information that relates to them. With the majority of Oyster customers however we only have volume data, which is not personalised, but can tell us for example how many people are going in and out of Canary Wharf station. And conversely, how has the increased availability of customer data benefited marketing professionals and TfL specifically? Yes, it has certainly helped us at TfL. We have around 4.5 million customer email addresses and we can use this to great effect to contact our customers on service related messages. We can tell them about a new service or change in timetable, through to messages about known disruption, for example when London hosts a major sporting event that might have an impact on the roads, and events such as the Baroness Thatcher funeral, where we were able to email customers about the specific bus route that they regularly use and how it would be affected. But with this amount of data we have to use it carefully and ensure that we are only contacting our customers with relevant and timely information. How advanced is your use of customer data and to what extent are you able to personalise digital marketing messages? We are building this into our future digital strategy. The new TfL website, which is currently in beta mode, will allow customers even more personalisation by remembering previous journeys searched, saving frequent journeys, providing information through geo-location about what is going around them and feeding them information about unplanned disruptions that is tailored to where they currently are and where they want to get to. We will also be providing options for personalising this information that might take into account, for example, the accessibility needs of the customer. 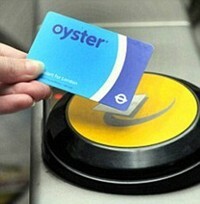 Is the marketing team given access to Oyster Card data, and if so how do you use it? We can access Oyster data for the general movement of people around London and using our services, but this is not personalised data. As mentioned we do have the email address for people that have registered their Oyster cards. We used this to great effect during the London 2012 Games. For example, we were able to take the LOGOC data that told us how many people would be going to a venue on any one day including different start times for events/ticket holders, overlay that data with the normal number of customers we see on a particular line or at a particular station, then overlay with the transport capacity on the line or station – we could then predict how busy a station would be and how long a customer might have to wait to board a train. From that we could develop highly targeted messages on a day-by-day, hour-by-hour, line-by-line, and station-by-station basis. We then ran station campaigns through posters and emails, telling people how busy their regular station would be during the Games and encouraging them to try alternative routes, or travel at a different time of day. We aimed to get 30% of Londoners to change the way they travelled, we achieved a 35% change. How do you plan to develop the company’s marketing strategy using data in the next few years? We know from talking to our customers that they increasingly demand information that is relevant and personalised to them, and that they want get this information in the place and way that they want it. So our future aims for use of data will be to give our customers just this. They want to know, for example, what is happening at the particular station or bus stop that they are using at that moment. They are not interested so much in what is happening at the other end of the tube line. So the challenge is how to do that by maximising our use of digital channels. We have over 600,000 Twitter followers, who can follow the Tube lines that they use. However some customer still want to have printed static information at stations and we know that they use a combination of both when travelling. What is your opinion of ‘big data’? Is it a meaningful term or just a buzzword? Big data is not a new phenomenon it is just that we now have the technology to interrogate the data more than ever and to mash up this data to give us a different perspective on it, as we did when planning for the London 2012 Games. It can also tell us if we have achieved our marketing outcomes. For example for major events, do our messages about how to get to events cut through and did people change and follow our advice – did we influence travel behaviours. How do you try to take advantage of your most popular web pages to achieve your marketing aims? From knowing which pages customers visit to look for information, we can target our digital advertising to reach them at the right moment. They are far more likely to continue using our information if it is relevant to what they are doing at that particular time. The TfL website is one of the most visited sites in London and we will use our homepage if we have significant information that we need to convey to our customers.